Sign up for Broadjam today to follow Brad Hammonds, and be notified when they upload new stuff or update their news! Brad Hammonds is an acoustic guitarist/ singer/songwriter living in NYC who recently recorded his debut album which will be released in early 2009. The album is a mix of acoustic rock, pop, world and roots music. 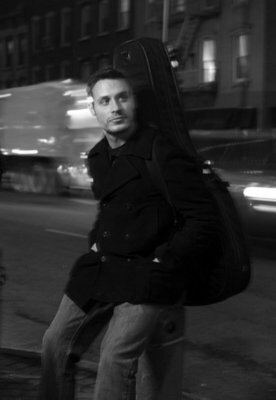 Brad's voice compliments his superb percussive guitar style with soulful and introspective lyrics.